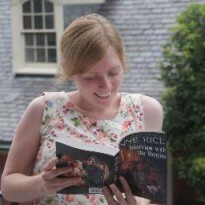 Bess is a writer living in a small, tight-knit community with her partner Halland. One morning she is woken by the sound of a gunshot and soon receives the news that Halland has been murdered. The police start to investigate whilst Bess starts to grieve. Throughout the process, Bess starts to see her neighbours, friends and family in a different light, and faces up the consequences of the decisions she has made throughout her life.I should start this review by confessing that I'm not a fan of crime/detective fiction. I've read a few popular crime books and some Sherlock Holmes, but I just can't get into it. I know I'm supposed to solve the puzzle of who committed the crime but that's not how I like to read. 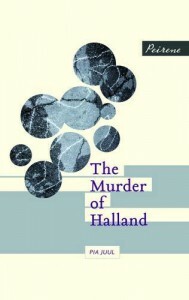 Sure enough, whilst reading The Murder of Halland, I didn't spend any time trying to work out who murdered Halland and consequently later events were a surprise to me. The crime aspect of the book was well written but didn't appeal to this particular reader. I also can't judge how much it 'dismantles the rules of an entire genre' (quote from the back cover), as I'm not familiar enough with the genre to tell.Luckily, The Murder of Halland is much more than crime-by-numbers, it's also about grief and coming to terms with the loss of a loved one. Many of the sections dealing with this rang very true to my own experiences. There's one chapter in the book where Bess is supposed to go to a library to give a talk (she's a writer) and checking her emails, she finds a confirmation. In the space of a few short sentences she goes from almost flippancy ("should I create an auto-reply saying my husband had been murdered?") to despair;"What had I written? I didn't want to think about work. Perhaps I would never want to think about writing again. That belonged to the past and it didn't matter any longer. "Grief has been like that for me too; a roller-coaster of emotions and the constant worry of whether you are grieving properly or not, whether people will judge you for smiling or for leaving the house. I think Juul's writing will relate to the experience of most people ("If normal everyday life had resumed, the washing needed attention.") and I connected well with Bess.So a bit of a mixed bag. The crime sections didn't appeal but the writing was simple and heart-felt, honest about the grieving process. If you are a crime fan, you'll enjoy this book.